After WWII Poland fell to communist block against the will of majority of the society. Film is an attempt to show the soul of Polish society through private letters. 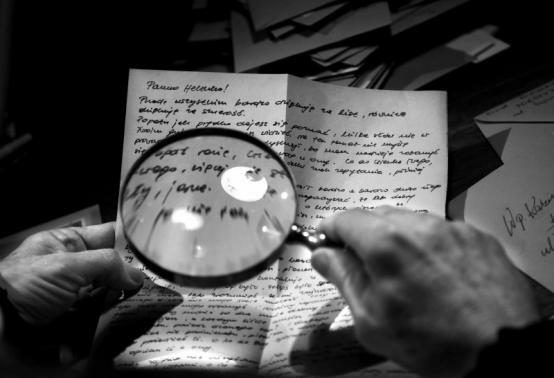 Letters which were censored and often used to persecute a sender and a receiver of the letter although Constitution Act guaranteed secrecy of correspondence in People’s Republic of Poland. Black and white film is a mosaic of never shown archive footage, letters which are red by careful chosen voices and Secret Service internal messages which shows Orwell’s size organization in action in the years 1945-1989.
scriptwriter and documentary film director born in 1956 in Łódź. After graduation from the Film Directing Department at Moscow’s VGIK in 1981 he worked with Krzysztof Zanussi and Krzysztof Kieślowski as a director’s assistant. His documentaries include False Start (1981), Psychotherapy (1984), Hear My Cry (1991), State of Weightlessness (1994), Głos nadziei (2002), One Day in People’s Poland (2005). He has won a number of festival awards in, among others, Mumbai, Huston, Tai Pei, Monte Carlo, San Francisco, Nyon and Kraków. Currently he teaches at the Film School in Łódź.